Come and visit us at ISE 2015 in Amsterdam to be one of the first to see our upcoming cloud service: Control Center. We aren't going to give away too much now, but Control Center is going to appeal to you whether you are a professional integrator, electrician or DIY user. Control Center will make creating the perfect control GUI easier than it has ever been. Don't miss out on this sneak preview! 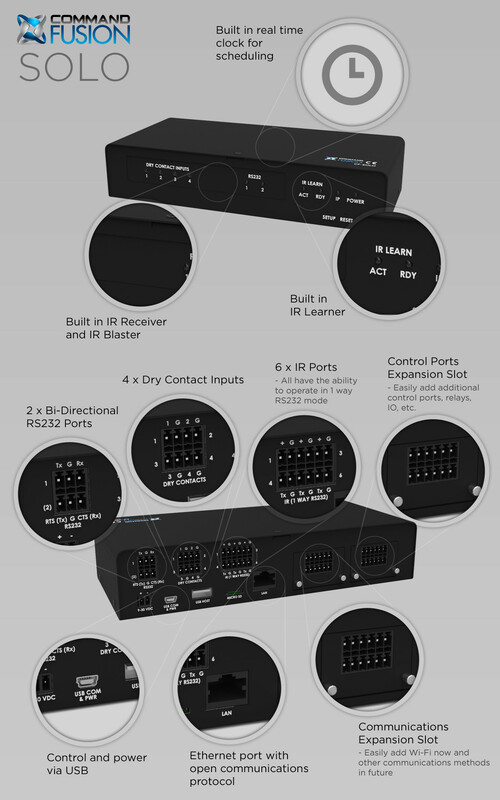 We have also been working hard on the upcoming networkable controller, "Solo", which can also be seen at ISE. We will have a release date very soon. We welcome you to visit us at booth 12-C80 for give aways, product demonstrations and much more. Want to set up a meeting with the CommandFusion team at InfoComm? Submit a ticket through our support page to organise a time. Want to reprint this blog entry in part or in it's entirety? Please read this first! © 2014 CommandFusion Pty Ltd. All rights reserved.